I have just returned from a holiday in the USA and spent a couple of days in New York. One of the things I wanted to see was the controversial ‘Fearless Girl’, a bronze statue set in front of the famous ‘Charging Bull’ statue on Wall Street. 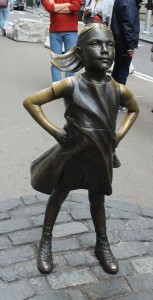 ‘Fearless Girl’ was placed there in March 2017 to celebrate International Women’s Day. This small statue looks as if the girl is defying the bull and caused much controversy when it was created. This is because the artist that designed ‘Charging Bull’ did so at his own expense and, following the global stock market crash in 1987, gifted the $350,000 3 ton statue to the city to increase public morale. He argued that ‘Fearless Girl’ was a commercial advertising campaign and as such, devalued his original work. 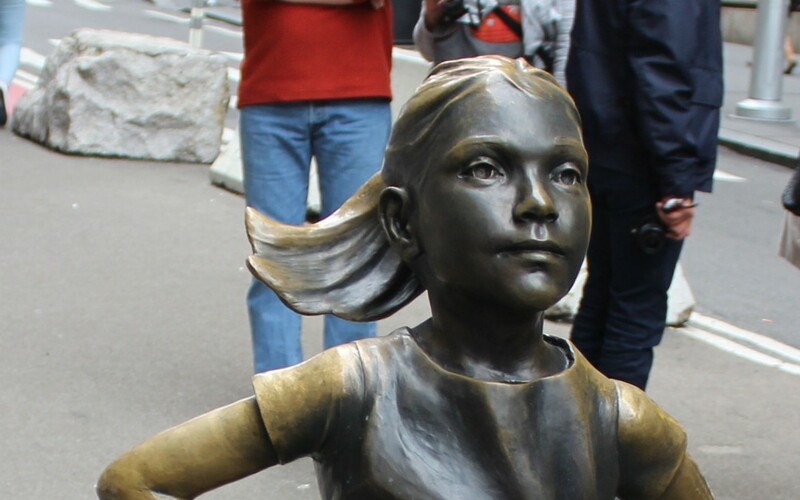 However, what makes the ‘Fearless Girl’ campaign clever is that it had taken something that existed already and re-purposed it. Back in the nineties, I was a media planner for a business-to-business advertising agency and the largest wire producer in Europe was a client. One of their products was stitching wire, which was regularly used to staple the spines of thousands of magazines and other publications. The company had decided to launch a new range of stitching wire in various colours and wanted to advertise this to the UK print sector. ‘Printing World’ was a weekly publication read by thousands of printers and was wire stitched. This made it the ideal platform to showcase our client’s new wire. I negotiated a deal with the publisher and the client booked the centre spread for four consecutive issues. We then supplied the printer with rolls of different coloured wire and they bound each of the four issues using red, blue and green stitches. The company’s advertisement was then designed to highlight the stitches and once printed, the client ‘owned’ the double page spread in the centre of each issue of ‘Printing World’ for one month – much as ‘Fearless Girl’ owned the bull! I can’t recall the cost of the campaign but it certainly greatly increased the profile of a humble wire product used every day by printers who, no doubt, did not give it a second thought until then. If you wish to read Dave Trott’s full story about ‘Charging Bull’ and ‘Fearless Girl’ then just click here. AND FINALLY: If you wish to receive regular copies of our e-mails and newsletters, then please click here and we’ll add you to our ‘newsletter’ list. ‘Thank you’ to those of you who have already clicked.